Dr. Alexander Poltorak, a Russian-born theoretical physicist, has held a number of academic positions at US institutions, including Columbia University, Touro College, and Cornell University Medical College. Dr. Poltorak is the Founder, Chairman and CEO of General Patent Corporation (GPC), an intellectual property (IP) management boutique and was named by IAM magazine among Word’s leading IP strategists to founding GPC, Dr. Poltorak served as the President and CEO of Rapitech Systems, Inc., a publicly-traded computer technology company. Dr. Poltorak has co-authored two books, Essentials of Licensing Intellectual Property (John Wiley & Sons Publishers, Inc., 2004) and Essentials of Intellectual Property (John Wiley & Sons Publishers, Inc., 2002), and contributed a chapter to Making Innovation Pay - Turning IP into Shareholder Value (John Wiley & Sons Publishers, Inc., 2006). He has also published a number of scholarly articles on physics, brain research and numerous articles on patent law, licensing and economics. His book Light onto my Path – the Mezuzah Anthology is published as an eBook on Chabad.org. 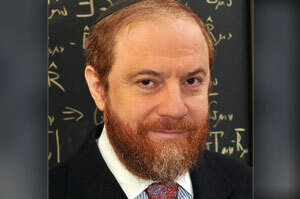 His articles on Torah and science have appeared in B’Ohr HaTorah. This fascinating exposition delivered by Mr. Poltorack involves a Talmudic investigation on various forms of testimony upon which Rabbi Yosef Rosen, known as the Genius of Ragatchov , develops a halachic conclusion as interpreted over a backdrop of quantum mechanics. .